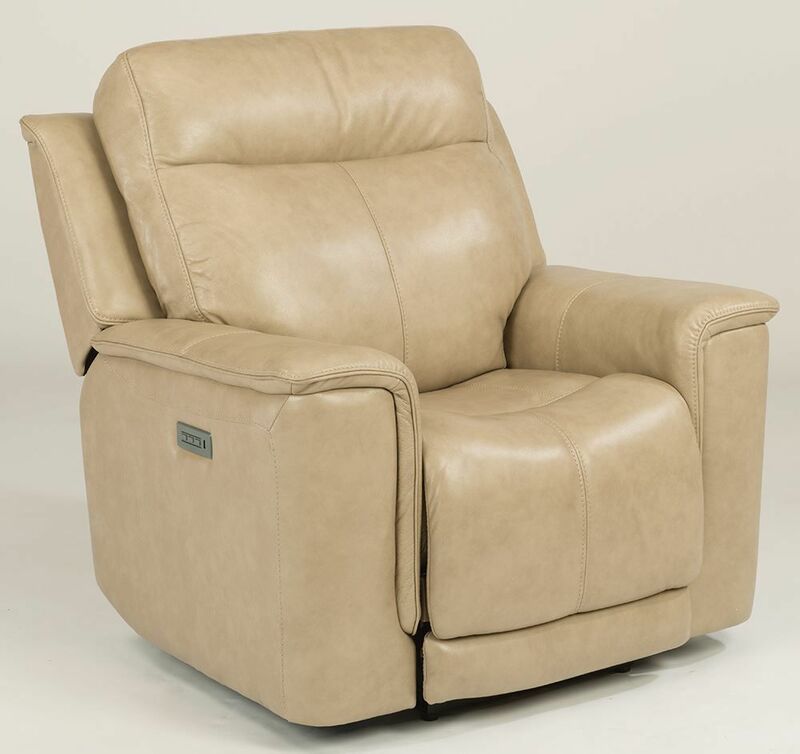 Create the comfortable living space you've been longing for with the Miller Pebblestone Power Recliner. Wrapped in 100% leather, this truly stunning piece brings a touch of elegance and style to any setting. The neutral pebblestone colored leather and transitional style ensures that it will blend in with just about any existing décor. Sprawl out on quality comfort, and utilize the power headrest, power reclining feature, and power lumbar support; you'll be in heaven. 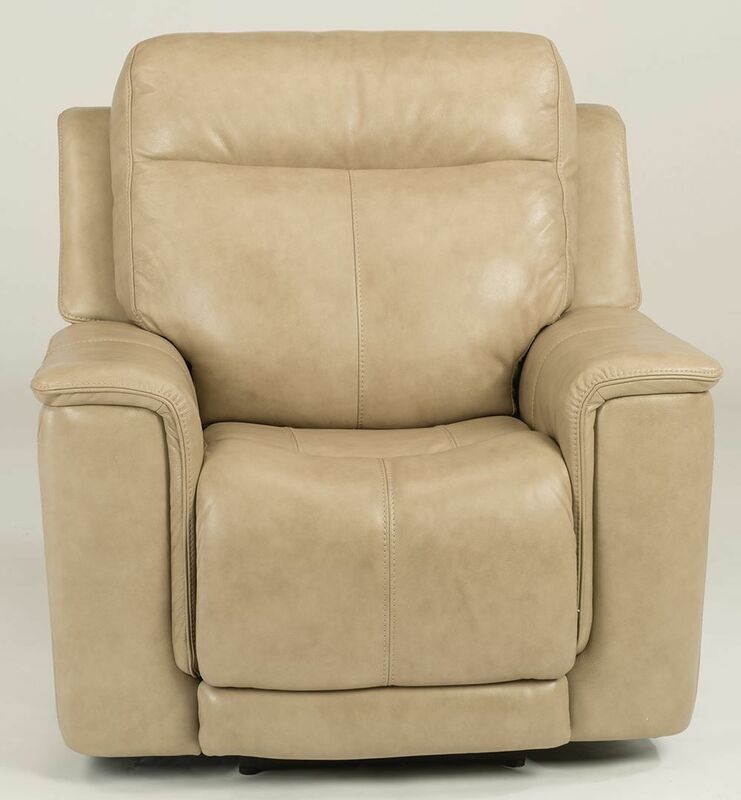 If this recliner is the perfect reflection of your desired style, you may also be interested in the rest of the Miller Pebblestone Collection. Browse through the other pieces (sold separately) to create a quality ensemble for your space! 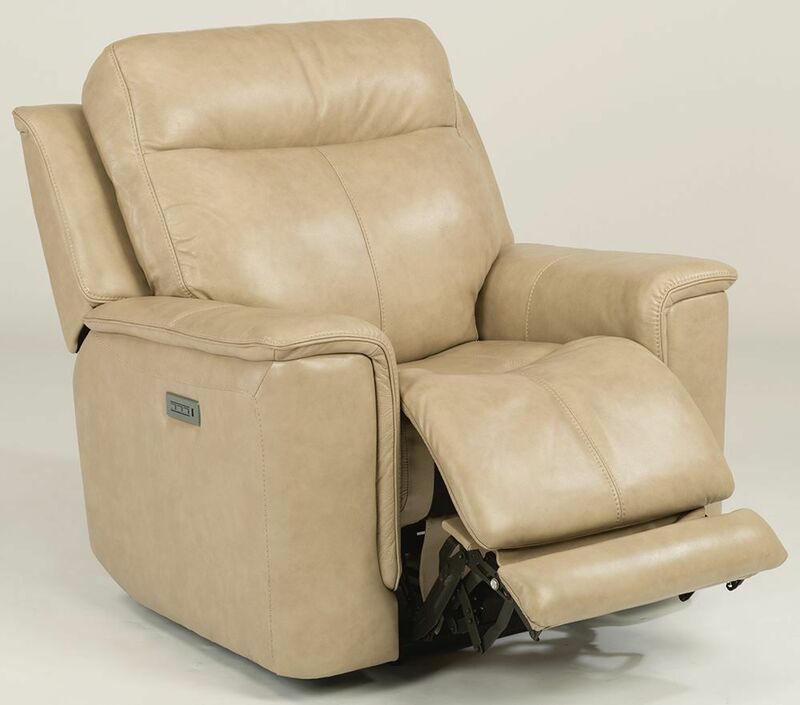 Create the comfortable living space you've been longing for with the Miller Pebblestone Power Recliner. Wrapped in 100% leather, this truly stunning piece brings a touch of elegance and style to any setting.